Take a Break from the Interstate & travel in a leisurely pace to experience our countryside charm & southern hospitality. Visit our Facebook page to see photos! 1) Who can participate in the 3-Day Road Market? 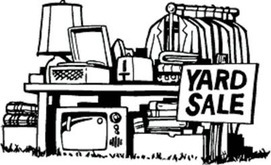 Residents or businesses visible on Hwy 21 N from Exit 54/ I-77 may host a yard sale! Q2) How can vendors without a Highway 21 location participate? Q3) I have a Hwy 21 location, how do I offer this space to vendors? Register your information on this page. We'll publish your information so vendors can contact you. Q4) Are vendors required to set up specific times/dates? Vendors may set up on their own time . Please welcome & offer our visitors a fun & friendly experience they will always remember. Pick up your free yellow “Take a Break from the Interstate” sign, while supplies last at Harmony Town Hall.